As always, the US is kicking off the holiday season with Thanksgiving. As America is a vast land rich in a variety of crops, it’s good to know what’s available during the winter season. These top five staples are sure to dress your table in true holiday style to last through the end of the year. A North American native fruit, Americans consume nearly 400 million pounds per year, with about 20% of the harvest during Thanksgiving week. Nearly 60% of the world’s cranberries come from Wisconsin, but are also leading crops for Oregon, Massachusetts, New Jersey and Washington. Harvest begins in September and ends in November when the berry beds are most often flooded to form a bog or marsh for easiest picking. Rich in vitamin c, fiber and only 45 calories a cup, the indigenous berry outranks all the others, with the exception of blueberries, as a disease fighter with a whopping 8,983 antioxidant capacity per cup. And for those who suffer from urinary tract infections, these ruby gems can be a real preventative boss. Most cranberries are turned into juice, dried or frozen for year round consumption. During the holiday months of November and December, they’re at their peak freshness, and are readily available in most supermarket produce sections. A ripe cranberry will bounce when dropped on a flat surface. The deeper in red crimson hues the better. The true test for ripeness is they’ll pop when you bite down on one. 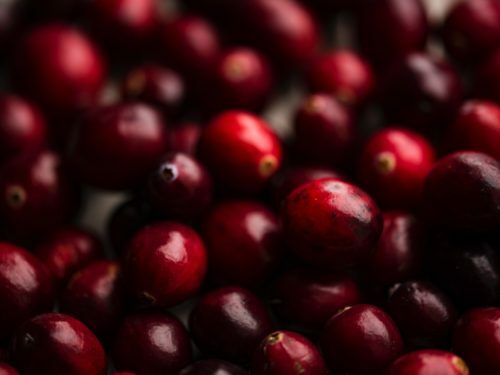 Stored in a tightly sealed container in the refrigerator, raw cranberries can last for up to two months. Discard soft ones to avoid premature rot. Once they are cooked, they can last up to a month in the refrigerator. Citrus fruits do not continue to ripen once picked from the tree. Taste is the best test for ripeness, but the ripe fruit easily detaches from its branch when picked. It’s important to remember that not all citrus turn bright hues when ripe. For example, Valencia oranges turn a yellowish green, whereas lemons are bright yellow at their peak. While M’Lynn from the iconic 80s film, Steel Magnolias, may not agree, juice isn’t better. Nutrient content is higher when consuming whole fruits. Store most citrus in the fridge for up to three weeks and on the counter for up to five days. Native to the tropical regions of the Americas,the average North American consumes about eight pounds of these tubers every year. A member of the morning glory family, sweet potatoes are not to be confused with their distant cousin the yam. They rarely are affected by pests, which drastically reduces pesticide use. Most often an orange hue, they also can be purple and yellow. 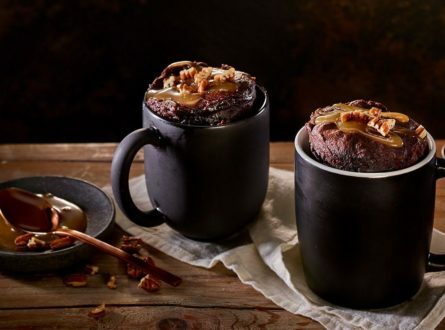 Their velvety texture and sweet nutty notes are a perfect pairing for Fall and Winter dishes. As far as health benefits go, they’re loaded with vitamin A [in the form of beta-carotene], vitamin B5, B6, thiamin, niacin and riboflavin. Due to their orange color, they’re also high in carotenoids. If you start resembling an Oompa Loompa, back off on consumption of these root veggies. Otherwise, have at it as they are a super power when it comes to anti-aging, anti-inflammatories, and blood pressure regulating. Plus, they won’t cause your blood sugar to spike. To top it off, they’ve been known to help with weight loss because of their starch-resistant qualities. Because tubers are actual roots, you’ll only know they’re ready to dig up when the leaves start to yellow. Most varieties reach maturity in about 100 days after planting, and can be left in the ground up until the first frost. Once harvested, they must “cure” to reach full sweetness. Growers will cure the harvest by storing them in a warm shady spot for about two weeks prior to storage or consumption. 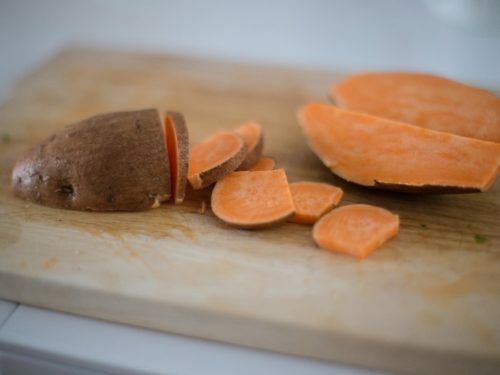 Stored in a cool, dry environment, sweet potatoes can last up to 14 months. Basements are ideal root cellars, but the kitchen cupboard will also do. Avoid refrigeration, as this changes the molecular structure of sweet potatoes making them hard and difficult to cook evenly. 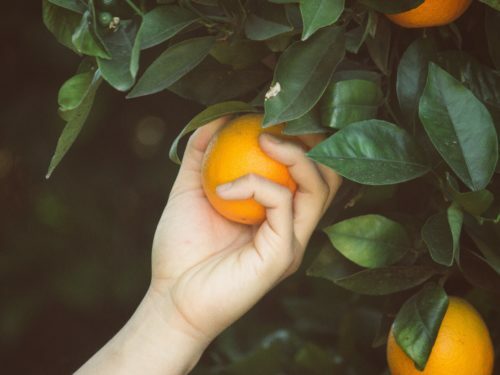 Originating in the regions known today as Iran and northern India, these small fruit-bearing trees are now being cultivated all over the world in arid conditions such as California and Arizona. It’s the pulpy seeds called arils that you’re after, as the rind and pith are inedible. Typically ready in the Northern Hempisphere from September through February and are tolerant to moderate frost. Reddish purple in color, the seeds and juice from this fruit related to the crape myrtle tree can be sweet and/or sour. Nutritionally, the high levels of vitamins C and K coupled with a punch of fiber, folate, potassium and protein make this “berry” a powerhouse. 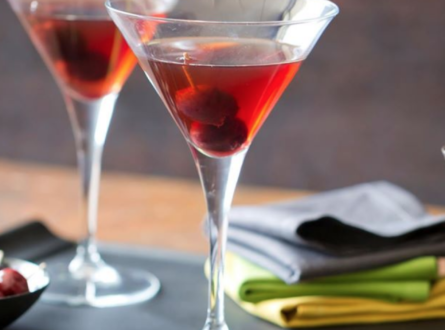 Found to have three times the antioxidant powers of red wine and green tea, pomegranate seeds and juice are also known to reduce inflammation, boost memory and are particularly of interest in men’s health findings. Because they’re picked ripe, little guess work is needed at the store. The fruit should feel dense and heavy with a firm skin. Because scratches and bruises don’t affect the edible parts, don’t let blemishes deter you. Processing pomegranates can be tricky. Start by cutting them in half and scooping out the seeds. There are many remedies to the juicy mess seeding can cause, but the key is to remove the pith. A strainer really comes in handy. 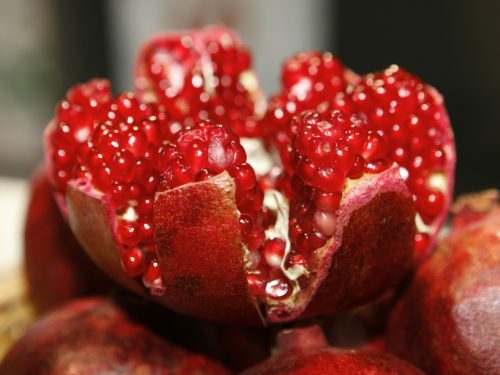 Stored in the fridge in a sealed plastic bag, whole pomegranates can last up to 3 months and seeded up to 3 days. Flash freezing the seeds and storing in a tightly sealed container in the freezer extends shelf life for up to 6 months. You can also dry the seeds or juice them. December is National Pear Month, as fate would have it there are 10 varieties of pears harvested in the United States. The flavors and textures of these fruits differ greatly, but there’s no mistaking the perfume of a pear and it’s delicate sweet notes. Packing more fiber than any of the top 20 fruits harvested in the country, pears mature sometime between August and February depending upon the U.S. region and variety. They are also considered hypoallergenic, making them especially attractive to food-sensitive consumers. One of the most low-calorie fruits, pears are an excellent choice for those watching their weight and/or blood sugar. And because of their high levels of potassium, they’re known to reduce the risk of stroke and control high blood pressure. An over-ripe pear can happen in the blink of an eye, and ripen best off the tree. However, if the pear has dropped from the tree, let the birds eat it, or cook with them. 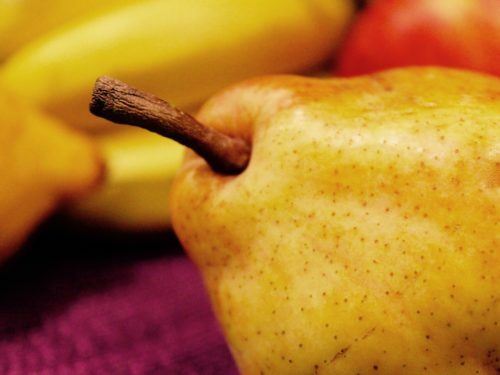 In the store, gently squeeze the neck of the fruit near it’s stem. If it’s slightly soft, you’ve found a winner. Skip the squishy ones and the hard ones, for that matter. The colors of ripe pears vary according to variety, but blemishes indicate a pear that’s past its prime. Less mature pears will ripen in a brown paper bag with a banana or apple in a tight pinch. Once they’re ripe, they can last several weeks in the fridge. As the new year is soon approaching, consider these final months as a season of reflection filled with copious cheer and good food to share with loved ones. Seasons are a fleeting moment in time. But the joy of healthy food and holiday tradition can stand the test of time if you know what you’re picking. 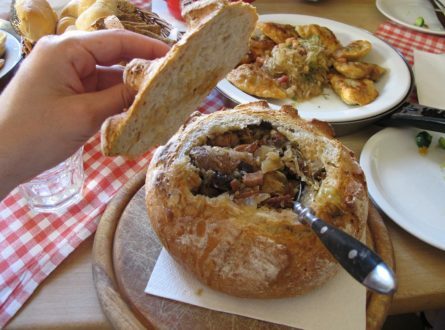 Want to take part in this holiday’s culinary feats with a bit more ease? Book a Thermomix® Cooking Experience today!